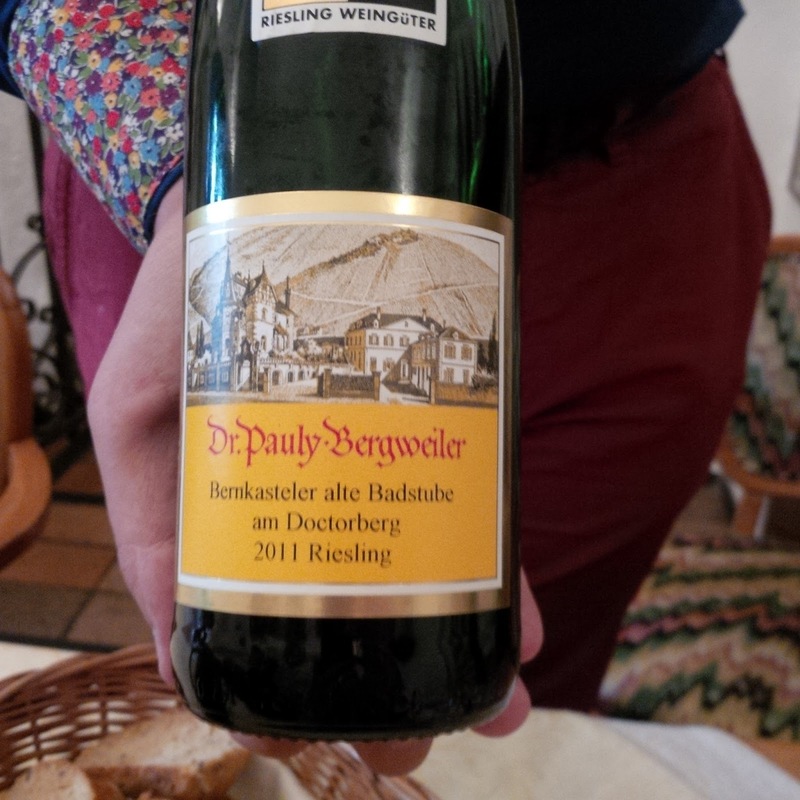 The tasting room is located in central Bernkastel and the location of the wine production is in another village. 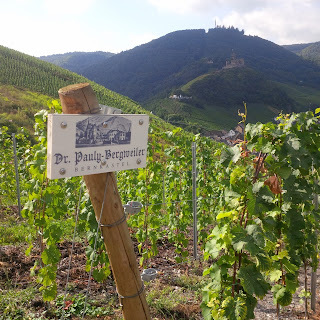 My host was gracious enough to take me to the production facilities and their vineyards. 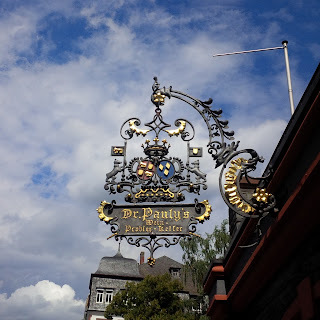 Of the most famous, I'm sure you can guess, is the the Bernkasteler alte Badstube am Doctorberg (say that 5 times fast). 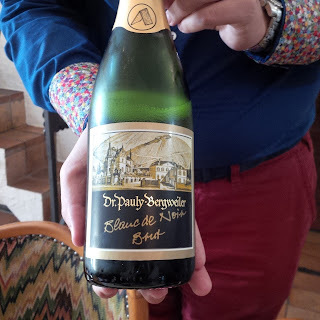 I have seen their wines in British Columbia but on this trip I was introduced to a new label style, clean and simplistic in addition to their traditional label with a picture of the estate. Below you will see fermentation tanks that are very small. 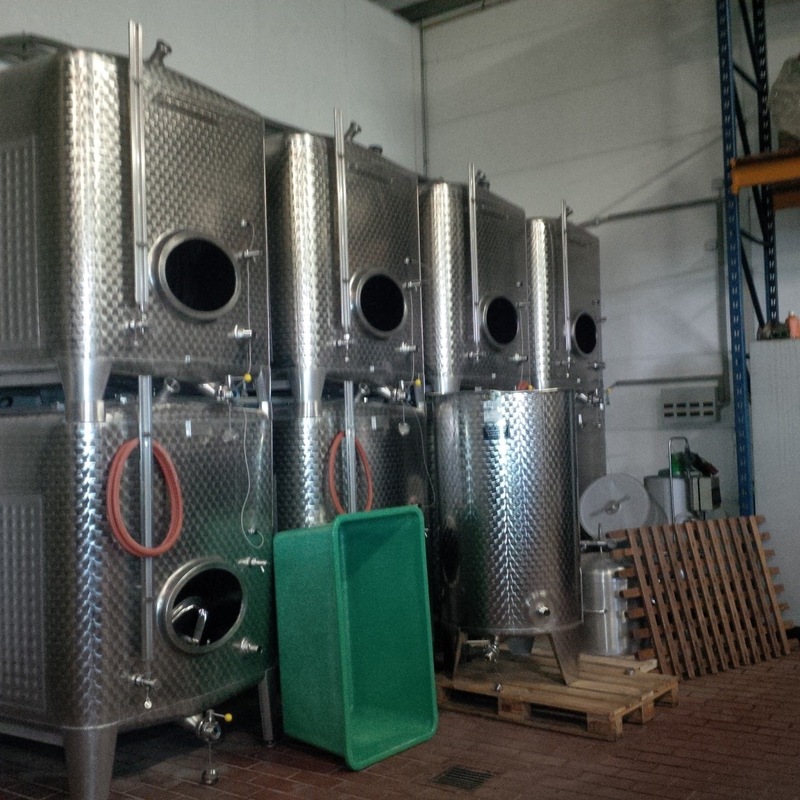 They ferment their grapes all separately from all the different vineyards. 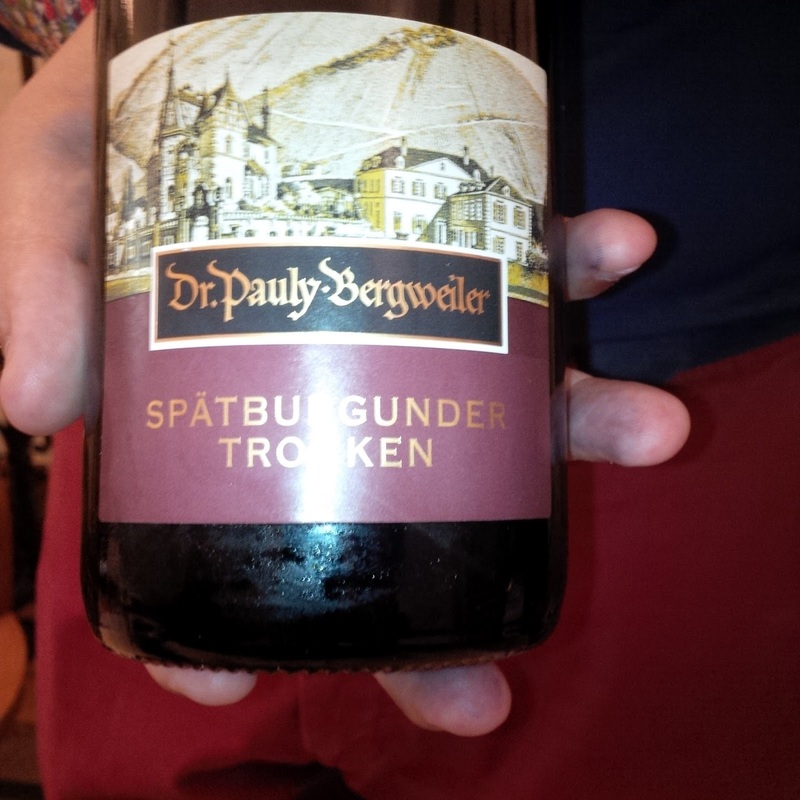 For their trockenbeerenauslese they are half the size or even smaller! 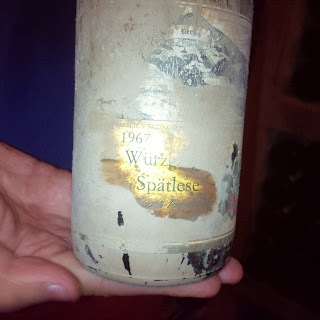 In the winery cellar there is nothing there from before WWII since the French too it all....we did get to see an old bottle of 1967 Riesling that has been covered in mud. 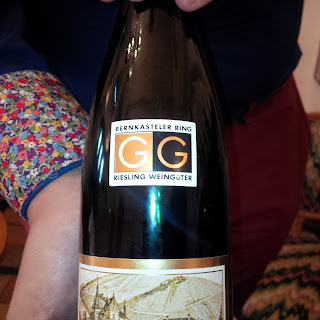 It doesn't happen often but there are times when the Mosel floods and gets into the cellars, which is what happened to this bottle below with all the mud on it.